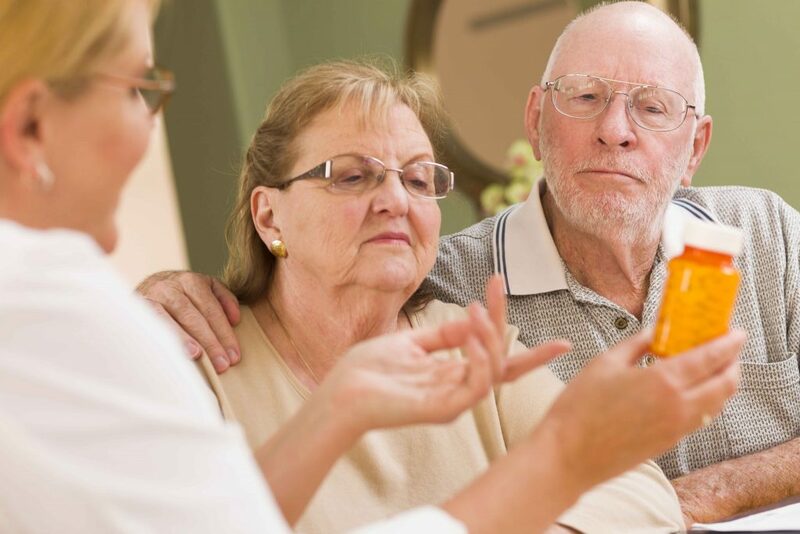 At Windrose, ThriveCare® is both our lifestyle and our therapy program. This unique holistic program of nurturing care is offered to every resident. 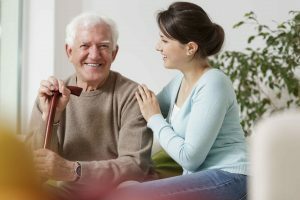 Windrose is exclusively for seniors with memory loss, therefore, we regularly train our entire staff in techniques specific to Alzheimer’s and related disorders. 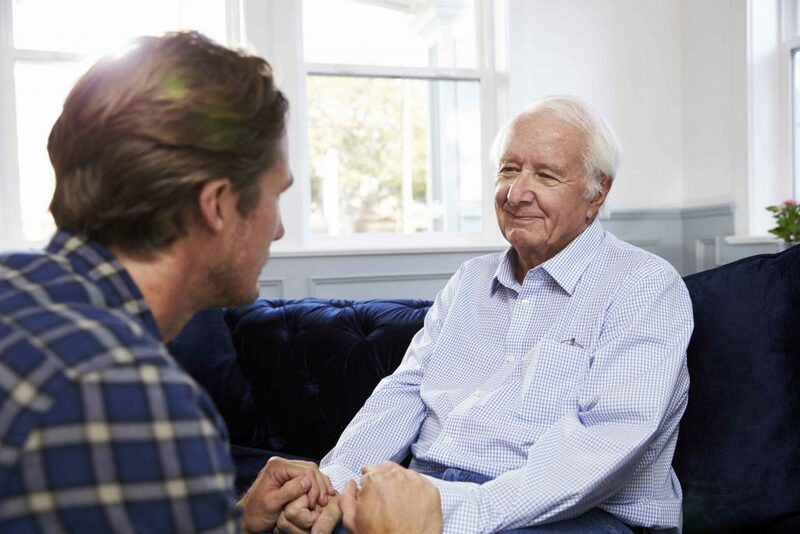 This unique approach is how we incorporate the latest in advanced research and personalize it to each resident’s interests and needs every day. We know in that in normal communication what you say is of primary importance. However, in the case of seniors who are losing their ability to process information, how you say something is more important. Our communications training is extensive, unique, and deeply meaningful to our residents and staff. We have learned that consistency is vital to our residents. We begin each day with slow, comforting waking routines as well as a nutritious breakfast. The day continues with easy warm up activities to help residents gain confidence. After lunch, each resident continues the day with more active, physical, and mental activities designed in a personalized manner. For example, our exclusive Kitchen Memories® cooking program is a favorite afternoon treat. The rhythm of the day winds down with a light dinner accompanied by soothing instrumental music. Comforting movies or reading aloud may occur before getting ready for a good night’s sleep. At Windrose, we take great pride in our customized and thorough staff training for our RNs, LPNs and nurses’ aides. 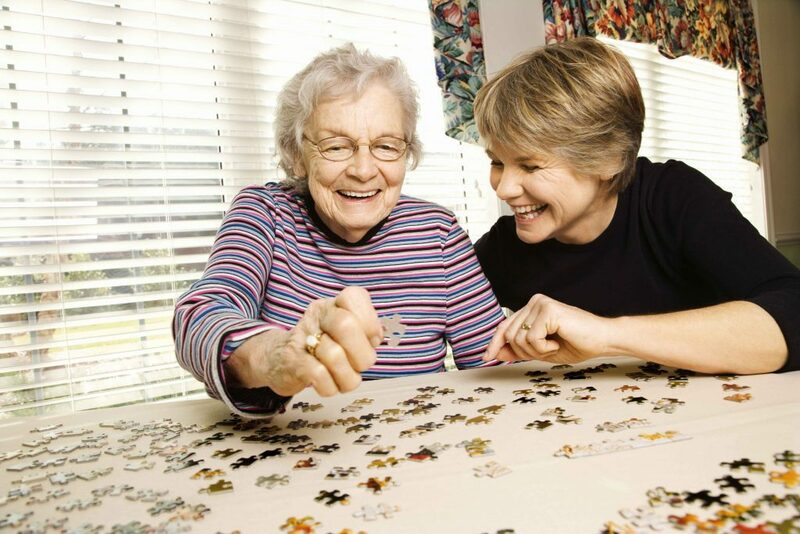 ThriveCare® training far exceeds state assisted living requirements and is the cornerstone of our care. We also partner with community experts and specialists in various healthcare fields to provide exceptional and holistic care for our residents. 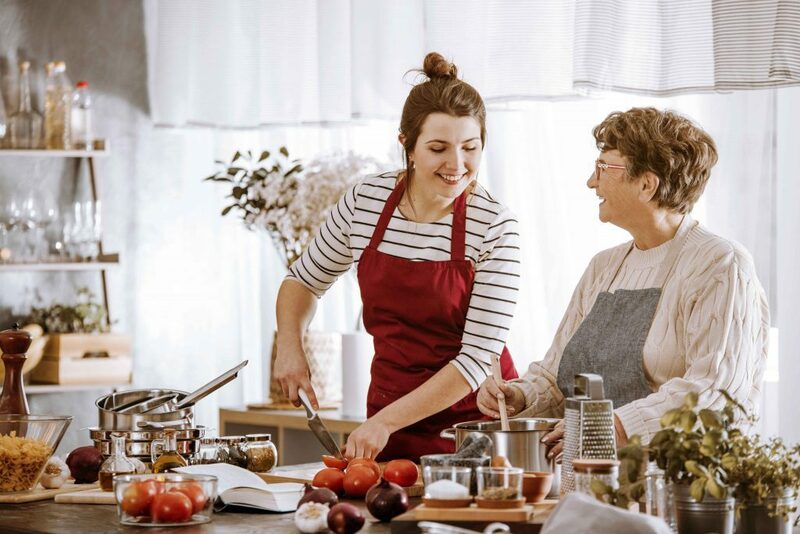 Research tells us that along with appropriate activity and good health care, diet is vital to maintaining health, particularly for those with memory loss. Our compassionate dining program is a significant component of ThriveCare®. It stimulates appetite with an appropriate dining room atmosphere and choices that are best for those with limited dining ability. 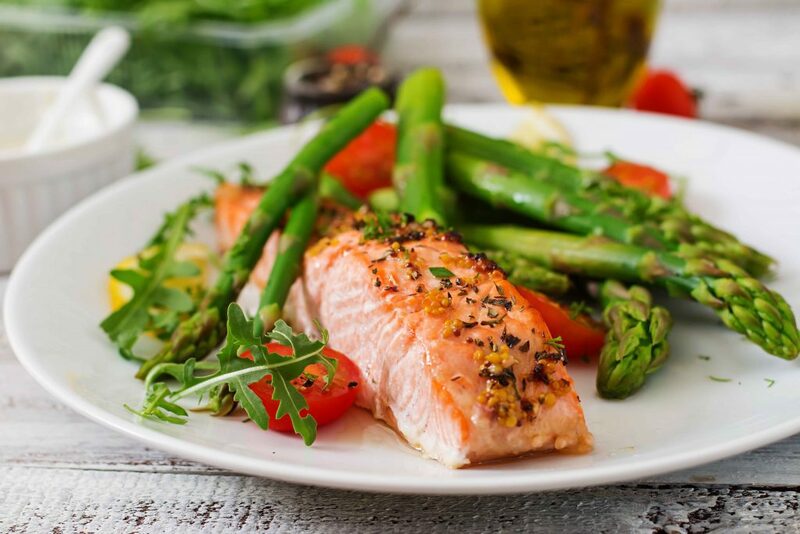 Our food is homemade, not preprocessed, and has the right mix of fresh vegetables, whole grains and proteins to maximize enjoyment and health. Sugar and fat are kept to a minimum, but never to the extent that food is not delicious! This is an award-winning program we have adopted in partnership with the renowned Dr. Govind Bharwani. Windrose of Weymouth and Woburn are the only two communities in New England to offer this breakthrough therapy. 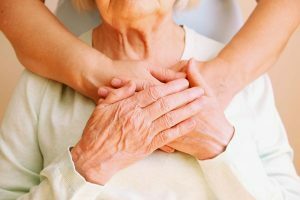 Dr. Bharwani found a way to dramatically help people with Alzheimer’s disease to be less prone to becoming confused, agitated, and withdrawn. BBET has been clinically proven to reduce falls, behavioral medications and increase participation in activities. This therapy is personalized for each resident with the use of a library of over 100 videos and music CDs, senior friendly technology, family photos, and research based games to stimulate their brains. We invite you to experience the ThriveCare® difference at Windrose of Weymouth.